Drivers in the market for a new vehicle may find themselves comparing the 2016 Mazda CX-5 vs. the 2016 Kia Sportage over the course of their search. Trying to decide which of these compact crossovers is right for you? Keep reading as we compare them side by side. In terms of safety amenities offered onboard, the Mazda CX-5 provides various safety features the Kia Sportage does not. The Mazda CX-5 Touring and Grand Touring trims provide Smart City Brake Support as an optional feature. This system utilizes forward-mounted sensors to alert drivers when a possible accident is about to occur. If the driver does not respond to the warning and the system senses a crash is impending, then the brakes are automatically applied at full force to help mitigate the force of the collision or completely avoid it. 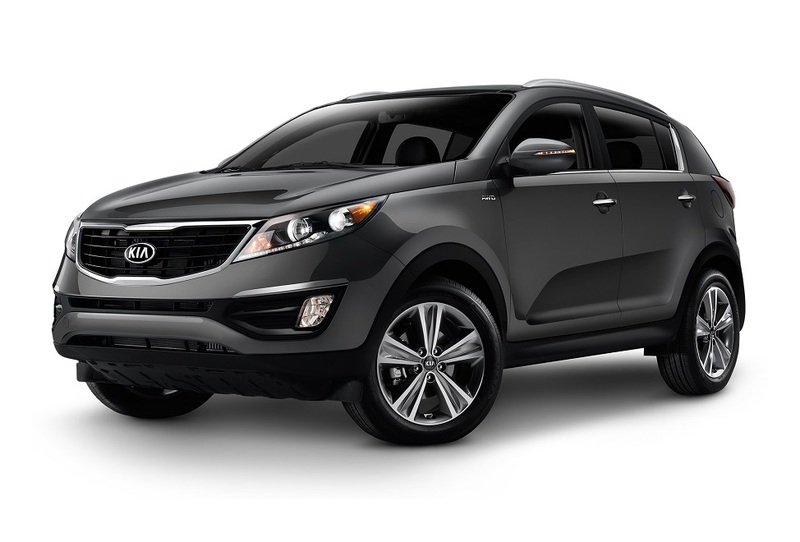 By comparison, the Kia Sportage does not feature crash-mitigation brakes or a collision warning. The Mazda CX-5 Touring and Grand Touring models additionally offer a blind spot warning system, which employs computer-monitored digital cameras to warn drivers when there are moving objects in the Mazda CX-5’s blind spots. The Kia Sportage doesn’t offer such a feature. The Mazda CX-5 Touring and Grand Touring trims further offer a cross-path warning system. Wide-angle radar in the vehicle’s rear bumper is utilized to warn drivers when a vehicle is approaching from the side as the Mazda CX-5 is backing up. This is another feature not offered in the Kia Sportage. Optional E911 Automatic Emergency Notification is also offered onboard the Mazda CX-5. This feature utilizes GPS and a cellular system to notify emergency responders whenever airbags deploy in the vehicle. The Kia Sportage does not feature such a system. When it comes to performance, the available 2.5L DOHC 4-cylinder engine in the Mazda CX-5 is more powerful than the comparable 2.4L DOHC 4-cylinder engine in the Sportage LX and EX trims. The Mazda CX-5 engine delivers 184 hp compared to the Sportage engine’s 182 hp, and the Mazda CX-5 engine produces 185 lb-ft of torque versus 177 lb-ft of torque generated by the Sportage’s engine. In terms of fuel economy, the Mazda CX-5 achieves up to 26 mpg in the city and up to a best-in-class 35 mpg on the highway, while the Sportage only offers up to 21 city mpg and up to 28 highway mpg. In terms of roominess, the Mazda CX-5 offers considerably more onboard space than the Sportage. The Mazda CX-5 provides 34.1 cubic feet of cargo space with the rear seat up, compared with only 26.1 cubic feet in the Sportage. With the rear seat down, cargo volume in the Mazda CX-5 is an impressive 64.8 cubic feet, compared with just 54.6 cubic feet in the Sportage with its rear seat lowered. The Mazda CX-5 further features a lower lift-over cargo hatch of 29.2 inches in height, which makes it easier to load and unload cargo. By contrast, the Sportage’s lift-over height is 30.7 inches. The Mazda CX-5 also offers greater passenger space, featuring 103.8 cubic feet of passenger volume compared with only 100 cubic feet in the Sportage. A more comfortable step-up height in the Mazda CX-5—18.2 inches compared with 19.4 inches in the Sportage—makes it easier for passengers to enter and exit. 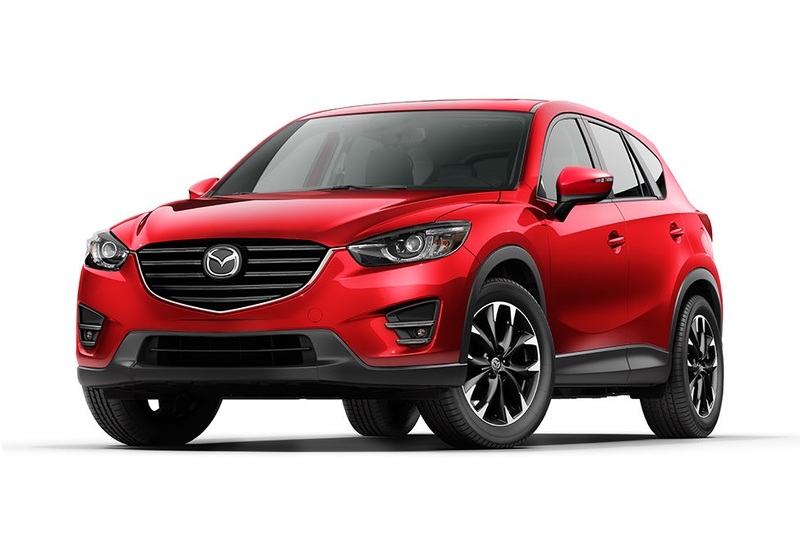 Drivers can further explore the various impressive qualities of the 2016 Mazda CX-5, and try it out at Biggers Mazda. Visit our showroom, or contact us today to hit the road for a test drive onboard the impressive Mazda CX-5.